Das Sockel 478 Mainboard mit Medion Retentionmodul von MSI für HP/Medion PCs. Nur in Verwendung mit einem Medion Kühler sinnvoll. Socket 478 for P4 processors with 400/533/800 MHz (100/133/200MHz QDIR). Core frequency up to 3.2GHz. - Supports Intel® Pentium® 4 processors with data transfer rate up to 800 MHz. - Supports 64-bit high performance DDR400/333/266 memory controller. - Supports AGP 8X/4X interface at 0.8v or 4x at 1.5v with fast write transaction. 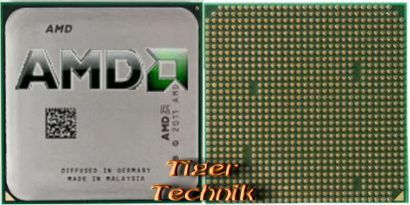 - Supports bi-directional 16-bit data bus with 1GHz bandwidth MuTIOL. - Supports high throughput SiS MuTIOL 1GHz interconnecting to SiS®963 media I/O. - Supports Dual-IDE ATA 66/100/133. - Low pin count interface for SIO. - Advanced power management and PC2001 compliance. - High speed USB 2.0 controller, 480Mb/s. Supports four memory banks using two 184-pin DDR DIMMs. Supports up to 2GB PC3200/2700/2100DDR SDRAMs. - Supports AGP 3.0 4x/8x. Three 32-bit PCI bus slots. - The second PCI slot in BLUE supports 2 master devices. Combo-Slot! Dual IDE controllers integrated in SiS 963. Supports P/O, Bus Master, Ultra DMA66/100/133 operation. S/W C-Media 9739A 5.1 channel with SPDIF in/out. 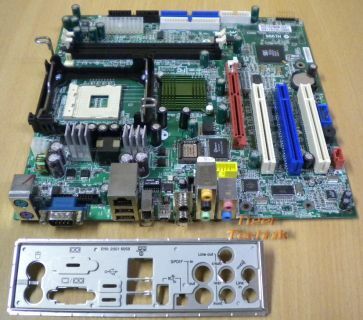 Micro ATX Form Factor: 24.0 cm x 24.5 cm.